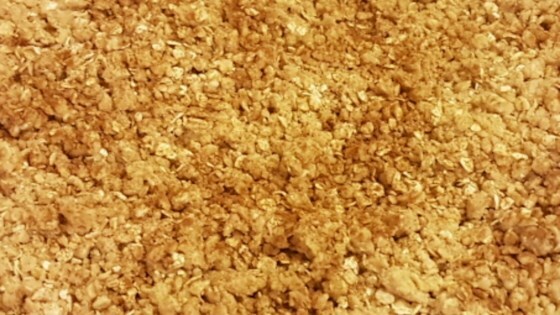 "Easy apple crisp. My grandmother's recipe that takes no time to make (or eat!). Best served warm with whipped cream or vanilla ice cream." Spread pie filling in an 8x8 inch baking dish. Sprinkle with cinnamon and nutmeg. Cream together margarine and sugar. Cut in flour with a pastry blender until mixture resembles coarse crumbs. Sprinkle mixture over pie filling. Bake in preheated oven 20 minutes, until topping is brown and crisp and filling is hot and bubbly. Don't waste your pie filling. The 2 cups of flour made a gummy topping with no absolutely no flavor. There was nothing "crisp" about this recipe. Stick with a good oatmeal/brown sugar topping. The topping was really yucky!! !